1895: London's scared. A killer haunts the city's streets. The poor are hungry; crime bosses are taking control; the police force stretched to breaking point. While the rich turn to Sherlock Holmes, the celebrated private detective rarely visits the densely populated streets of South London, where the crimes are sleazier and the people are poorer. 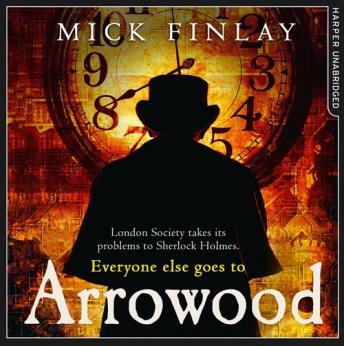 In a dark corner of Southwark, victims turn to a man who despises Holmes, his wealthy clientele and his showy forensic approach to crime: Arrowood - self-taught psychologist, occasional drunkard and private investigator. In the bestselling tradition of Anthony Horowitz and Andrew Taylor, this gloriously dark crime debut will haunt readers long after the final page has been turned.